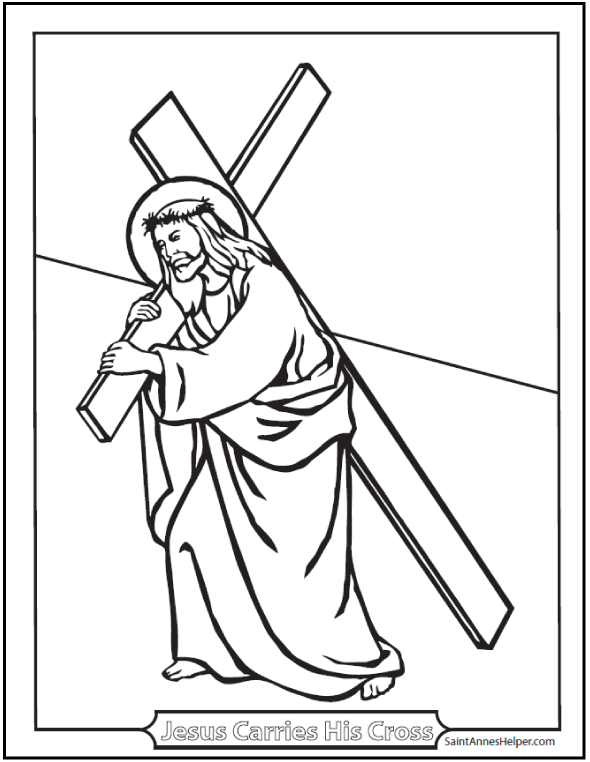 Jesus Carries His Cross coloring picture tells part of the Good Friday story of Him climbing the hill to Calvary. He is so alone. Compassionate your Savior. This PDF prints 8.5x11" single sided. Jesus carries His Cross up Calvary on Good Friday.